Cleopatra Slots Machine - Play for Free or Real Money! It would be unusual for anybody to hear the name Cleopatra and not have some image of her rule in Egypt. Cleopatra is one the best-known historical figures around the world. She’s even been the subject of many modern works of fiction and nonfiction, further adding to her renown. With a namesake inspired the Egyptian ruler, the slot machine franchise by IGT is fittingly one of the most recognized and popular around the world as well. Cleopatra slot machines have a distinct Egyptian theme, complete with classic Egyptian symbols and easily recognizable sounds and music. The original slot machine game, known simply as Cleopatra, became so widely played that a direct sequel to it was also created. Cleopatra II and its predecessor are very similar in most ways. Both games are played with five reels and three spots per reel. Both games also offer a similar bonus game where a player can earn free spins with a multiplier. The reel symbols, while all clearly Egyptian, are how players might be able to tell the two games apart. Cleopatra uses a variety of classic icons most people would instantly recognize as Egyptian, but would otherwise know very little about. The Eye of Ra is the least lucrative of the Egyptian symbols that can be hit. Shown on a red background, it looks like an open eye facing forward with eyelashes extending from the bottom. The Crook and Flail has a yellow background. This symbol is the two tools, which both look like extravagant sticks, crossing each other. The Cartouche symbol has a blue background. A cartouche is an oval-shaped space that Egyptians used to contain their hieroglyphs; the reel symbol represents that. The Lotus and the Scarab are the two remaining and highest paying unique symbols in this game. The Lotus flower appears on a purple background and is shown as a group of three flowers. The Scarab is displayed on a green background. This symbol, predictably, looks like a beetle. Cleopatra II does away with all of these symbols and opts for a slightly more uniform set. Instead of picking a seemingly random group of important Egyptian icons, Cleopatra II’s unique reel symbols are each the heads classic Egyptian depictions of their own gods. Bastet is the symbol that looks most like a cat. Horus is a bird, perhaps a falcon. In addition to these, each game also has a Cleopatra symbol. This symbol not only represents the top of the paytable, but also serves as a wild for all of the other symbols. As a wild, it can support the winning combinations of which it’s a part with a 2x multiplier. Needless to say, having many Cleopatra symbols appear across the reels is the easiest way to win a lot of money. The Sphinx symbol is the key to winning lots of money in the Cleopatra slot machines. Depicted as a lion’s body with the head of a human, having at least three of this symbol appear anywhere across the five reels will initiate the bonus game. In Cleopatra, the bonus game is triggered when at least three of the five reels feature a Sphinx symbol. There is also an initial payout that depends on how many of the Sphinx symbols appeared on the spin that triggered the bonus game, up to 100x the bet for having all five reels show a Sphinx. 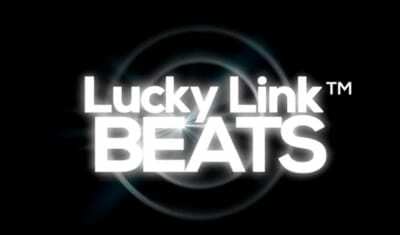 The bonus game starts with 15 free spins; each spin is given a 3x multiplier. It’s possible for a player to continue earning more free spins during the bonus game by landing three or more Sphinx symbols on a spin — the same requirement for having initially triggered the game. Cleopatra II ramps up the potential for big wins in its bonus game. Just like in its predecessor, Cleopatra II’s bonus game is triggered with at least three Sphinx symbols scattered across the five reels. Having more than three such symbols still results in a larger win on the triggering spin as well. 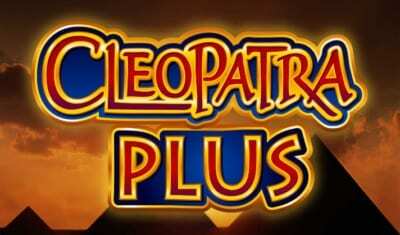 Unlike Cleopatra, Cleopatra II awards a variable amount of free spins during its bonus game: between five and 20. When the bonus game starts, the player will select from three thematically shaped sarcophagi each containing a different number of spins. The selected sarcophagus — shaped like a Scarab, an Eye of Ra, or an Ankh (an excitingly flavorful way for the game to begin) — opens to reveal the number of spins the player is awarded at the start of the bonus game. The more Sphinx symbols on the spin that triggered the bonus game, the higher the amount of free spins that can be initially awarded in this way. The unique aspect of the game happens at this point. Each spin in the bonus game has its own multiplier, determined by how many spins have already occurred during that iteration of the bonus game. The first spin has a 1x multiplier (like a normal spin in the game), and each subsequent spin will increase the multiplier by 1x. So the second spin will have a 2x multiplier, the third spin will have a 3x multiplier, and so on. If a player lands three or more Sphinx symbols during the bonus game, the game will award additional free spins in the amount that was initially chosen from the sarcophagus. In this way, a player can have spins with a 30x, 40x, or even 50x multiplier attached to it. Understandably, the bonus games in Cleopatra slots are not easy to trigger. With the infrequent potential for impressive wins, Cleopatra slots tend to have relatively high variance. The highly volatile nature of Cleopatra slots may deter some players, but slot gamblers are likely to embrace them. Recognizing that fact, many US casinos offer Cleopatra and Cleopatra II in their high limit slot machine rooms. At a $1 machine with 20 lines, players can risk up to $20 per spin. While this can lead to considerable losses fairly quickly, just one trigger of the bonus game can lead to wins even more substantial. Either way, this fast action and drama certainly attract slot gamblers. Cleopatra machines combine an attractive theme, solid gameplay and mechanics, and some unique aspects to create an immersive gambling experience. There are few slot machine options that can meet or exceed what Cleopatra machines offer. So long as willing customers are still looking to gamble, Cleopatra slot machines will have a place in casinos for those customers to try their luck.